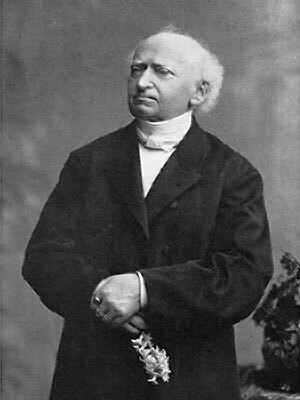 Franz Delitzsch (1813 - March 4, 1890) was a German Lutheran theologian and Hebraist who wrote many commentaries on books of the Bible, Jewish antiquities, biblical psychology, a history of Jewish poetry, and Christian apologetics. In 1880 he established the Institutum Judaicum in Leipzig for the training of missionary workers among Jews. Delitzsch is best known for his translation of the New Testament into Hebrew. "Critical Observations on My Hebrew New Testament" was an article by Franz Delitzsch appearing in the biblical journal The Expositor in 1889. Franz Delitzsch: A Memorial Tribute is a biography of Delitzsch written by Samuel Ives Curtiss in 1891. The Hebrew New Testament of the British and Foreign Bible Society contains notes and comments by Franz Delitzsch on the fifth edition of his Hebrew New Testament.